First Financial Merchant Services was founded in 1995 and is based in Medina, Minnesota. 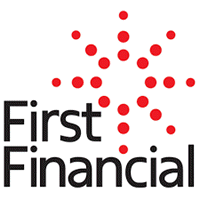 First Financial is a First Data reseller, and have been known to operate under a few different names, including First Direct Merchant Services, although they are distinct from First Bank Merchant Services and First Merchants Bank. Customer service seems to be a focus for them. When trying to understand “What is first financial merchant services?” it helps to understand that they offer all of the standard merchant services, including EBT, Debit and credit processing, POS equipment, online gateways, wireless processing, and virtual terminals. The equipment they have on offer is top notch, and it works with a number of other popular merchant payment systems. There have been minimal BBB complaints regarding Frist Financial Merchant Services. It is also important to note that, due to similar names, some complaints may actually be directed at First Bank Merchant Services, rather than first financial. First, merchants customer service will determine how likely they are to continue using a provider, and bad retention rates are a sign you don’t want to be involved. First merchant services has a spotty customer service record at best. This may be because most of their sellers are independent contractors who are working outside the company. This third-party sales model is responsible for many of the complaints that people have, not only at First Financial, but at most of the other merchant service providers we’ve reviewed as well. Companies that keep sales in house have a higher rate of satisfied customers, this is an undeniable trend we’ve seen across the companies we reviewed. First Financial ranks solidly in the middle of the merchant service companies we’ve looked at, making them a good option if you find the right agent or program, but nothing you can replicate elsewhere.